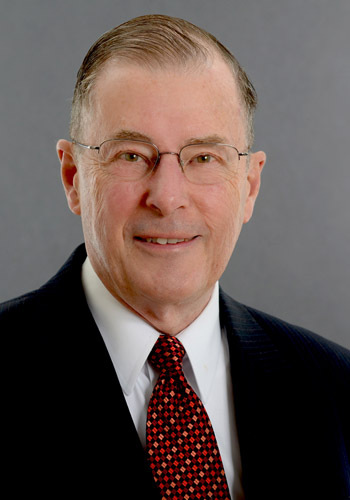 Philip L. Bruner - Mediator & Arbitrator based in Minneapolis, Minnesota. If you’d like a list of available dates for Philip Bruner, please submit a request below. You will hear back directly from Philip's assistant, Debra Lewis. Philip L. Bruner, Esq. is one of the world's leading full-time arbitrators, mediators, and resolvers of construction, engineering, and infrastructure claims and disputes arising in the United States and globally. He is a distinguished member of the panels of neutrals of both JAMS and JAMS International, and for more than 25 years prior to joining JAMS was a member of panels of arbitrators of other dispute resolution organizations. He is the co-author with Patrick J. O'Connor, Jr. of the twelve volume, 11,000 page treatise, Bruner and O'Connor on Construction Law, regarded as the most authoritative ever written on American law governing construction, and cited in more than 300 published opinions issued by federal appellate and district courts, state supreme and appellate courts, and Commonwealth and Territorial courts. As a neutral, Mr. Bruner’s experience includes numerous complex construction, engineering, and infrastructure disputes and claims aggregating from millions to many hundreds of millions of dollars generated on a wide variety of public and private projects. See his more extensive bios at www.jamsadr.com under "neutrals" and at www.philbruner.com. Mr. Bruner earned his Bachelor of Arts Degree in History from Princeton University, Juris Doctor Degree from the University of Michigan Law School and Masters in Business Administration Degree from Syracuse University. Mr. Bruner is vetted by International Who’s Who of Business Lawyers as one of the world’s leading construction lawyers, commercial arbitrators and commercial mediators He is included in The Best Lawyers in America , and is profiled in the Marquis Publications’ Who’s Who in America, Who’s Who in American Law, Who’s Who in the World, and Who’s Who in Finance and Commerce.